In the imaginations of millions, Siberia is a dark, hard, cold place. While it is cold, some of the warmest times of my life have been spent at kitchen tables in the homes of Russian and Buryat people, drinking cup upon steaming cup of tea and sharing the stories that make up the tapestry of our lives. Siberia is a boundless region full of life, multiple cultures, fascinating history, unlimited stretches of taiga, steppe and tundra, coursing rivers and the pearl of Siberia, that vast inland sea called Baikal. A place isn’t really a place without its people. Through them you come to know the history, names and character of the land. I have spent eight years in Siberia, learning Russian, acquainting myself with many of her peoples. In 2003, I married my wife, Yulia, who comes from the Buryat people, one of many proud native ethnic groups who have called Siberia home. I now call Siberia home, and her people, my people. Being a part of a people, you can’t help but love them, and desire their welfare. You want all the peoples of earth to know whom the remarkable, hospitable, resourceful and delightful people of Siberia are. 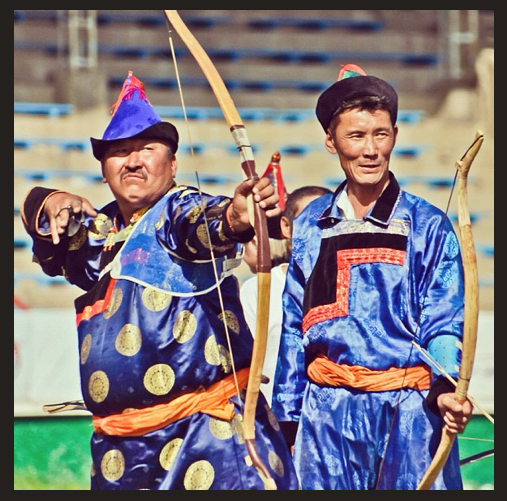 Be they Buryat, Russian, Tuvin, Tatar or Yakut, or any of the many peoples who thrive in Siberia. And so our hearts are for the people. We seek to honor them, promote their welfare and love them as their Creator loves them. Practically we do this by engaging in Buryat culture, championing it, and loving the people where they are at, for we believe that every human is our neighbor, and every neighbor regardless of color or creed is precious and deserving of respect, understanding and a listening ear. Hello! I am visiting Olkhon island in August and have been trying to find out about the Gathering of Shamans in early August. Do you have any information you could share with me about this please? Thank you! Hey Clare, I have been out of internet range for the last week. I don’t know anything yet, but I will look into it. When are you going? If you are staying in Khuzhir, your hostel hosts will know all about it. Hey Caleb, where you at, and what is your class project? You have a wonderfully organized and informative site. I will follow your journey. 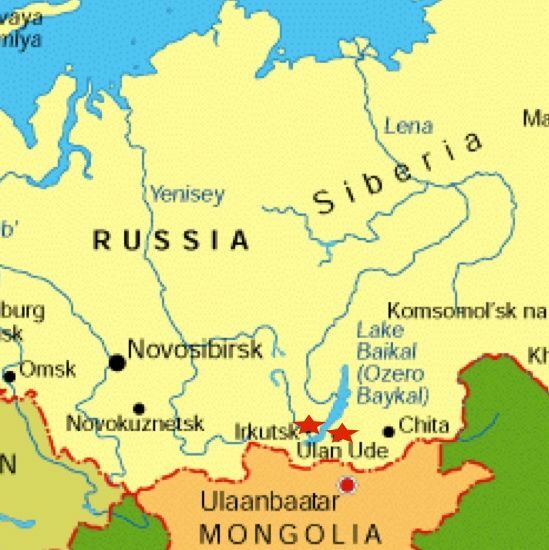 I one day hope to visit and tour the off beaten path of Siberia. Thank you aspiring writer! Glad you stopped by! Hi Alex I think that it is pretty cool that you moved to Siberia. I am sure that it wasn’t easy decision and you probably had no idea whats gonna happened next :). It’s crazy – I am from Russia and never actually been in Siberia. The most eastern point of Russia I’ve been in is Chelyabinsk. But I hope one day I’ll take a trip far to the East and lake Baikal. P.S. I have a blog about info and travel in Russia Russianblogger.me and I would like to became friends with you :). If you want we can exchange links – I’ll add your link to my blog in the “Our friends” page and you’ll do something like that too :). Anyway, we can work something out :). I look forward to following your adventures, stories and photos. Privet Amit! Thanks for your comments! While I have spent a ton of time in this area, I haven’t yet spent much on Olkhon. The time I have is covered in these posts. If you haven’t read them yet, have a look. They are some of my favorites! Happy New Year to you and yours! Thanks for these links, what an experience! I spent a few days living with a local family in a little village on the eastern shore of Baikal – still firmly entrenched in its 18th century ways. The locals drove buggies, babushkas were in boots, aprons and head-kerchiefs, and they lived in typically ornate and weathered wooden homes. An outhouse out back, a banya for bathing and ample portions of food. Notwithstanding the language and cultural barriers, they were among the most generous people I’d met during my travels. Happy and healthy new year to you too! Yes, you stayed with the Old Believers who (as you are probably aware) separated from the Russian Orthodox Church in protest of reforms by the Patriarch Nikon in 1652 and 1666. All over Russia you may still find settlements of Old Believers. Definitely good people! Their villages are always colorful, and usually in better shape than other villages. I didn’t realize they were called Old Believers, so thank you for that nugget of information. Hi Alex! Thanks for stopping by my blog, you have a very unique and interesting one. Looking forward to reading more. You are always welcome! Thanks for visiting me so to speak! Hello, I must say I found your blog purely by accident. I’ve been living in Kazan, Russia now for almost 2 years. Like yourself I’ve absolutely fallen in love not only with my wife, but with Russia as well. I’ve been searching through the internet trying to find out as much as possible about my new home. Like yourself I’m also a Christian. I’d really like to connect with you if possible. Please visit my blog and take a look around. You can visit me at hague6185.wordpress.com. I’m not sure if you are willing but I’d love to invite you to do a guest post about where you are living. Currently I’m reaching over 170 countries around the world, and have approximately 4 to 5 thousand visits to my blog each month. I’d love to give you the exposure if you are interested. Hey Steve, greetings! I have had a chance to look over your blog and appreciate the issues you are wrestling with. I would be interested in writing a guest blog. How did you happen to stumble across my blog? Do you have anything particular in mind? Thanks you for e-mailing me back. I’ve written a little about where you are living but to really understand Buryatia I believe it important to have been there, which I haven’t. My dream is to have someone contributing from each republic and oblast around Russia. My end goal with “Life in Russia is for it to be a collection of writers sharing about their particular area. So with that said, please write about Buryatia, it’s history, it’s culture, it’s people, what ever you believe the world should hear. The whole idea is to be building bridges between the world and Russia. Hope to hear from you soon. Would you drop me a note at nomadruss@hotmail.com. I want to talk with you about a possible visit. Tell me about yourself William! Did you get my reply William? work with you in your orphanage endeavors. I have, for some strange reason, been sensing a definite call to visit SIberia for several years now. Good idea to let the world see the beauty of other peoples and lives. That is a must to understand each other. The best thing is of course to live among them – as you do – but that is something not granted everyone. Thank you for sharing with us. Great photos and good stories! Thank you also for stopping by my blog! My pleasure. I am blessed to live with the Siberians! Bless you for your endeavors to make this world a better place – and for diving in with such abandon. I often think if we would only truly get to know each other, this could be a much better world. I also wanted to compliment the image in your banner, it is absolutely beautiful. Take care. Thank you BFI!! Knowing one another is incredibly vital. Community is vital. You can’t love someone you don’t know. I like that image a lot too! :) U take care 2! I’ve always been fascinated by Siberia and I can’t tell you how glad I am to have found your blog Alex! It’s wonderful how you’ve found yourself among the people there and have become a part of them. :) It’s really heartwarming. privet Alex! A happy Independence Day! Privet Zorigtkhuu, Thank you! I wish you a happy Naadam! May God bless you!